Suggested opening bid $150,000.00 for the total property (home and lots). This property will be offered at public auction on Wednesday, February 27, 2019 at 11:00 a.m. Come to the auction and bid YOUR price! Contact our agent for more information about the auction process or to make a pre-auction offer. 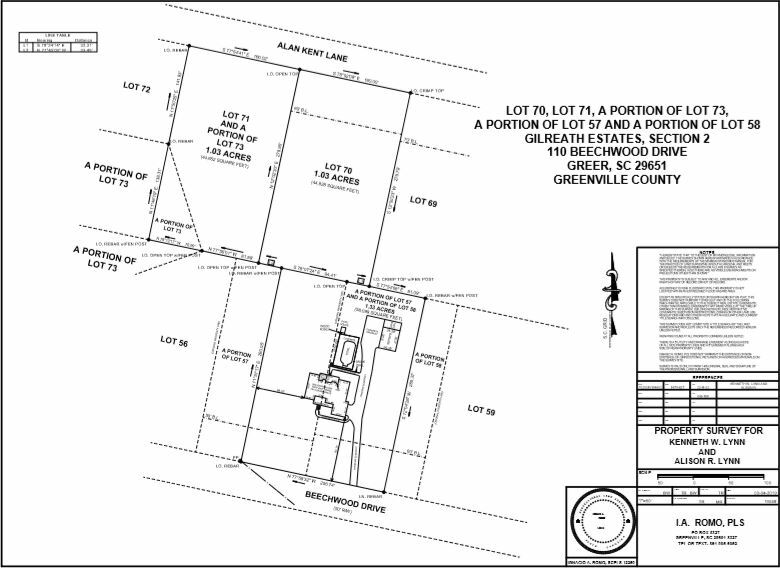 110 Beechwood Drive in Greer is a three bedroom, two full bath, ranch home on approximately 3.39 acres of land. Currently one parcel, a proposed survey has been completed to give buyers the option to bid on either or both of the two one-acre builder lots, the home on ±1.33 acre, or the entire parcel as it is currently recorded. Preview: This home is owner-occupied, so we have the preview available from 9-11 am on the day of auction only. The lots on the backside of the property can be viewed at any time from the road. Please do not walk the property. Bidders at the auction will have the opportunity to purchase the home and multiple lots - we will offer the lots first, then the home and then a combination of both lots and the home to give all bidders a chance at the land they wish to purchase. See attached survey for more information. Brokers/Agents: We are offering a three percent (3%) commission to brokers and/or agents that bring us buyers of the properties in this auction. You MUST download the broker participation form found in the Documents section on this website and submit it to us prior to 24 of the auction date. The form must be to us by Tuesday, February 26 at 11:00 am. A ten percent (10%) buyer's premium will be applied to the approved high bid to arrive at the contract sales price. An eleven percent (11%) buyer's premium will be used for online bidding. This home is being offered subject to seller confirmation of the high bid on auction day. The lots will sell to the highest bidder on auction day. The winning bidder(s) will deposit five thousand dollars ($5,000.00) for the home or two thousand five hundred dollars ($2,500.00) per lot into Meares Property Advisors' escrow account and close the property within thirty (30) days of contract signing. Potential buyers can schedule their own inspection and appraisal prior to the auction date, at their expense. Seller will pay property taxes to date of closing and will pay any outstanding liens. Buyer pays all other closing costs including, but not limited to, attorney fees, deed preparation, deed recording, mortgage fees or any other fees or expenses to close the transaction.